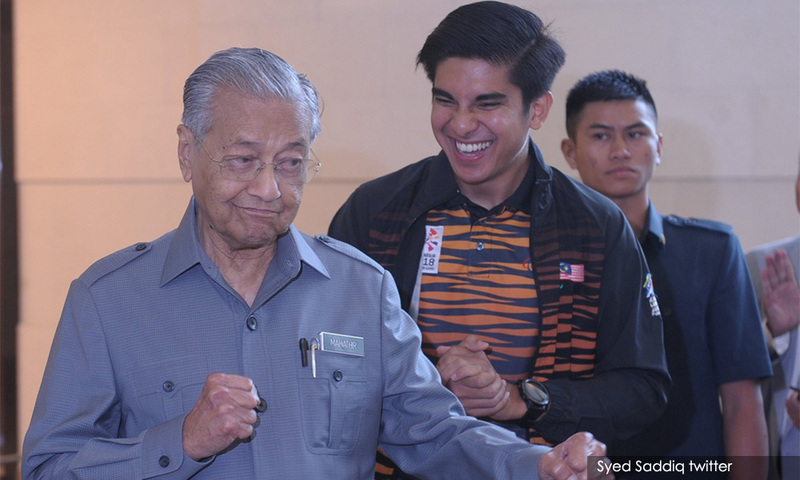 Prime Minister Dr Mahathir Mohamad today praised Youth and Sports Minister Syed Saddiq Syed Abdul Rahman, saying the government made a bold choice in appointing him despite his lack of political experience. Speaking during the "Youth ask, Tun answers" dialogue at the Perdana Leadership Foundation earlier today, Mahathir acknowledged that the youngest member of his cabinet was inexperienced, but made up for it with "enthusiasm, idealism and determination." After all, he pointed out, his cabinet is not lacking in "old men" with experience to advise the young politician. 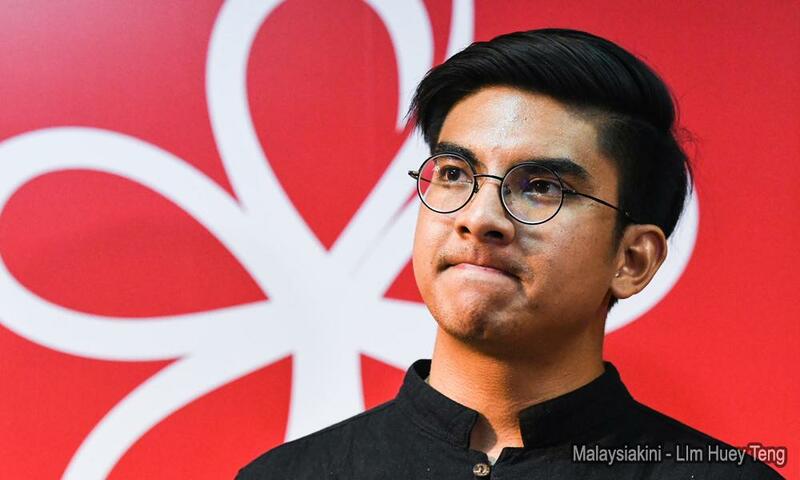 The 27-year-old Syed Saddiq is himself an alumnus of the Perdana Fellowship. 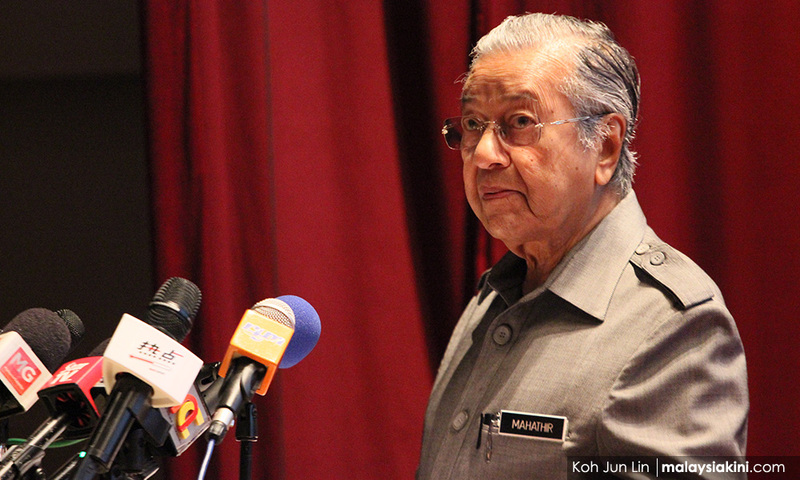 In his speech, Mahathir spoke of the challenges faced by older leaders in preparing policies and programmes to prepare the youth for the future. "There is a delicate balance in preparing these policies and programmes, as adults may think they know what is best for the youth," he said in a copy of his speech sent to Malaysiakini. "But if the youth do not respond, or they find that these programmes do not resonate with them, then the programmes will be a failure and can even end up being counterproductive. "That said, the government will continue to work on formulating policies and programmes for youth, and this government took a bold step when it decided to appoint a very young man to be the youth and sports minister, despite some quarters expressing concern over his lack of experience." Mahathir earlier explained how he himself found relating to youth quite "challenging" despite being excited by their enthusiasm and idealism. "Sometimes, when they do things which are nasty, terrible and inhumane or that they waste their life, I feel that I can’t connect and unable to reach out to them. That can be quite frustrating." Nonetheless, the premier said the "most logical thing" for any country to do is to invest in its youth as "future leaders in all levels and sectors." He added that he hopes Syed Saddiq will "mature" and learn from his leadership. Syed Saddiq's rise has been meteoric since he first came to public attention as a student activist and champion debater. Under the Perdana Fellowship programme in 2013, he was attached with then-minister in the Prime Minister's Department Nancy Shukri. He was also one of the original nine founding members of Bersatu, and now heads its Youth wing, as well as the Pakatan Harapan Youth wing. Syed Saddiq made his election debut last year, running against three-term MP Razali Ibrahim in Muar and winning the seat with a 6,953-vote majority. His subsequent appointment as the youth and sports minister, however, drew heavy criticism, with many pointing to his lack of political experience. Others opined that there were older, more experienced politicians more deserving of the coveted cabinet position. However, former youth and sports minister Khairy Jamaluddin defended his successor, telling Malaysians to give Syed Saddiq a chance.